Opinions make a world of difference in football, as words bear a lasting weight. In particular, the remarks of former rivals hold a special place, for when positive, one can be assured that they are well-meant and carry a strong sense of importance. The ones shared between player and manager are a different case altogether. When a player praises a manager under whom they’ve served, the scenario is understandable, if not predictable. However, when a talent from the opposing camp sings praises, it truly means everything. The stakes are so much higher when the legends involved in this scenario are Jose Mourinho and Steven Gerrard. 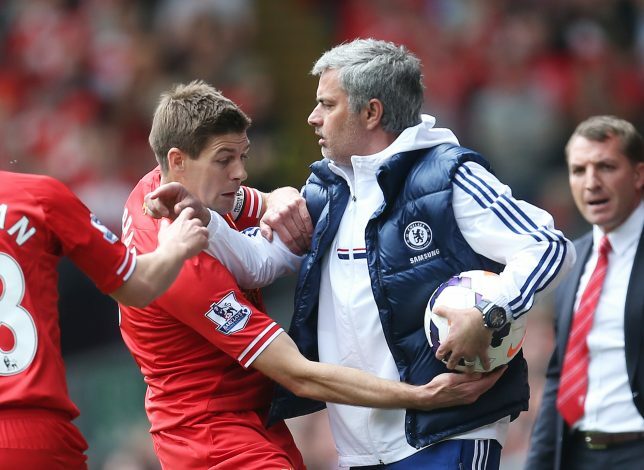 During the premiere of Make Us Dream, a feature-length documentary on his 27-year-long journey with Liverpool, the topic of Mourinho and Gerrard’s close tryst with Chelsea came about. The Liverpool midfield maestro, who is now playing the second innings of his career as the manager for Scottish side Rangers, went on to add the following about the criticism the Portuguese gaffer currently faces. “I think it’s him doing things on purpose, to galvanise and get that siege mentality. It would be foolish to write him off. He’s still a world-class manager and he’s already won things at United. It wouldn’t surprise me if he won more trophies at United,” said Gerrard. The two were nearly united in 2005, when Mourinho had attempted to prompt Gerrard to make a move to Chelsea from Liverpool. Of course, that wasn’t to be, and the world never got to witness how the two men would have fared together. He had this to say about the controversy that surrounded the proposed move: “The most important thing is the final decision was the right one.